During the early 20th century, surgery played a major role in TB treatment. However, after effective TB drugs became available in the mid 20th century the use of surgery declined. Subsequently the emergence of drug resistant TB has led to surgery once again being used as a supplement to drugs for the treatment of TB. Some of the earliest surgical procedures were known collectively as collapse therapies. The aim of these procedures was to deprive the TB bacteria of oxygen. The use of surgical resection, meaning the removal of part or all of the diseased tissue, in this instance the lung, was used from the 1930s onwards. As techniques were improved surgery became a widely used treatment for TB alongside the development of combination drug treatment. However, as clinical trials increasingly showed that combination treatment for drug susceptible TB was effective, surgery was no longer routinely used in most countries. In some countries such as Russia surgical interventions, particularly surgical resection, has continued to be used. Also as there has globally been more reports of drug resistant TB, so there have been more reports of the use of surgery. Sometimes surgery will be planned for use after treatment with medication, as below. She has surgery scheduled to remove part of her lung, damaged from the years of XDR-TB and the wrong treatment. 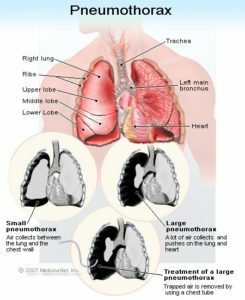 The recommendation was for the use of partial lung resection (lobectomy or wedge resection) alongside the provision of medication. A lobectomy is a type of surgery, mostly used for lung cancer, in which one lobe of a lung is removed. A lobe may be removed to prevent the spread of TB to another lobe.